The internet allows digital companies to scale globally, with relatively little friction. That has allowed Netflix to attract more than 137 million global subscribers, with the majority of its subscribers now outside of the U.S. So far, however, few other streaming video platforms have made any aggressive moves outside of the U.S.
On Monday, the streaming virtual multichannel video profider (vMVPD) FuboTV launched in Spain with FuboTV España, becoming the first U.S. vMVPD to launch in Europe. The company also says it will expand to other markets in 2019. 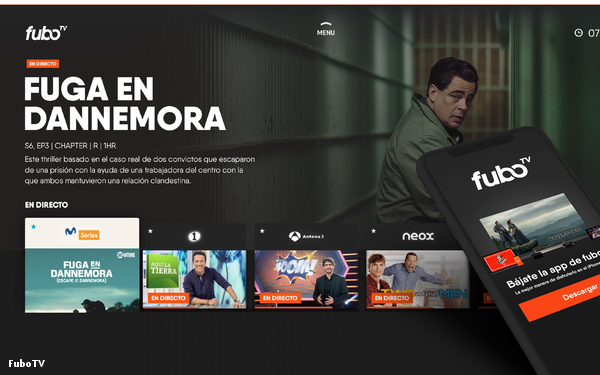 FuboTV España will include 13 Spanish-language channels, including the popular European entertainment channel Movistar Series. vMVPDs bundle together on-demand content with linear TV channels, streamed directly to consumers. The two largest players in the U.S., Sling TV and DirecTV Now, are built off of traditional satellite TV businesses. YouTube is available globally, but its YouTube TV vMVPD service is only available in the U.S. In this case, FuboTV has the advantage of being independent, not owned by a company with a traditional business and traditional licensing agreements. FuboTV is also relatively small compared to the satellite and technology giants, with the company saying in September that it had 250,000 paid subscribers. Aside from Netflix and YouTube, few U.S. streaming services are available globally. Hulu is expected to launch in additional markets in the coming year, but to date, the company has made no announcements. It is unclear whether that expansion will include its Live TV service. CBS All Access has been expanding to some English-Language markets, and HBO Now is said to be pursuing international launches. However, both remain small in scale compared to Netflix.